The Victorian Heart of Steampunk Fashion | STEAMED! « Contest time and a really cool announcement!! I love the combination of feminine and edgy: ruffles and a ray gun, for example. Oh, and pocket watches. The SO is *so* fascinated by them, and anything he likes has my interest too. I’m a hat lover, too… from just about any age. (Weren’t the hats at the royal wedding fun?) Gearing up a great hat? What could be better? Sue McDonald here – yes! The HATS! You might enjoy the Recollections Blog, where we have several articles on Victorian style posted. Go to http://www.recollections.biz, and scroll down the left side of the screen to find the link to the blog. Hi! thank you for the great article! I am a civil war historian and i want to be able to enjoy steampunk. I want to see more people suggesting that research is important to creating the right steampunk look. I have seen too much deconstruction in some costumes and too much superhero (undergarments out) in other costumes. That being said, i think there is room for some moderate costuming to also be included in steampunk. I like to wear my necklace watch with my modern dresses. I have an 1880s polinase that i am finishing. i plan on wearing it for steampunk by either wearing the tunic with jeans or wearing the walking skirt with a t shirt showing a pic of the whole garment. You are so very welcome! Thank you for your kind words. I agree that doing a bit of research will make your costume more believable, and help correct the “Hollywood effect” of the public’s preception. We do everyone a favor when we present an historically-correct look, rather than something some movie producer dreamed up. I love Victorian era fashions, but most especially the boots. They were so beautiful, almost decorative, yet functional too. My favorite aspect of Steampunk is the gadgets. I think it gives it a definite flair. I have been attempting to make my own clothes from some good McCall’s patterns. Still challenging for a non-sewer like me, but I love learning. I found one Burda pattern that is a fair version of the “French Bodice”, but the one McCall’s gown I made (The one with the detachable bustle) was the “dress from heck”! The have no idea how to properly drape or dart a Victorian-style gown. Please do have a look at the offerings from Truly Victorian (www.trulyvictorian.com). The patterns go together well, and there is an online chat with Heather (the owner) if you get into trouble. Oh, so much to chose from;). I love the gowns and boots and the way the feminine is mixed with masculine/gadgets. The jackets and their cuts are my favourite aspect. How beautifully shaped they are and how different they are from each other. I suppose overall it must be the fit and shape of the clothing. Everything is crisp and tailored. There is a good reason for the nice, crisp shape of those jackets! Nearly every vertical seam is boned so that it won’t ride up, droop, or lose it’s shape. Victorian clothing is HEAVY – a ladiy’s outfit might easily weigh 20 poinds. A well-made bodice is flat-lined – meaning that the fashion fabric has a lining applied directly to the back of each piece, then interlined, then all seams are boned from just under the arm to within a 1/2 inch of the hem, and finally the entire thing is lined. It was necessary to “construct” jackets and bodices so that they could support the weight of a skirt (which might have 10 yards of fabric), and an additional overskirt, as well as any chatelaine items that might be suspended from it. Often the skirts hooked onto the bodice or jacket. My favorite parts of Steampunk fashion are the hats and accessories- who doesn’t love a fancy parasol or an imaginative gadget? lovely post. i liked learning about the bottom button of the vest. must say my fave part of steampunk fashion are the accessories. Wow… I have always wanted one of these!! 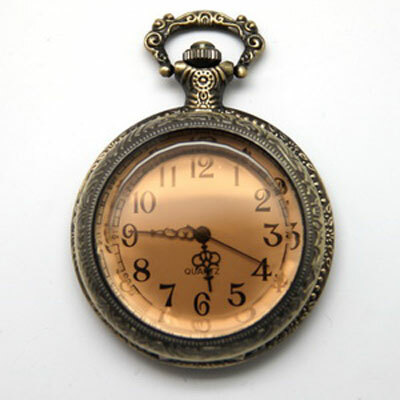 And of course steampunk pocketwatches :). Thank you for such a fun and informative blog! anything with gears or flintlocks. Gloves! Why don’t we wear gloves anymore? They’re so elegant. My favorite aspect of steampunk fashion is how easy it is for women to cross dress and still maintain femininity. I love the tomboyish styles over traditional corsets and bustle skirts as in real life, I’m ever the adventurer and explorer so pants are better suited. Yet I love being a girl and there are so many ways to get that across without wearing traditional female Victorian clothing. 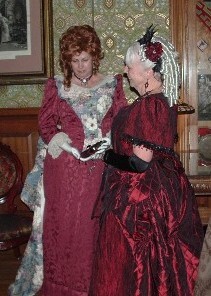 I love the Victorian clothing but wonder if I could have worn the dresses, lol. I also love the lacy gloves and watches, they were so pretty back then. I love the tricky metal gears and such, attached to clothing. However, corsets, with real creative flair and worn with riding pants, are very Hot! I love that and anything to do with boots. 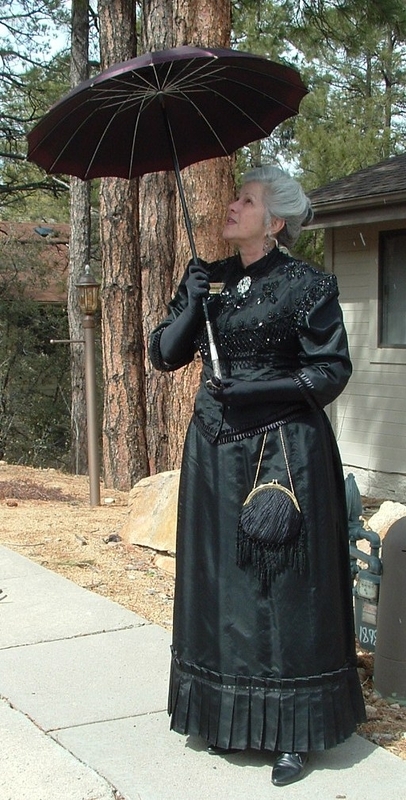 Oh, and if you add a full length duster jcaket, circe 1880’s, with clever pockets and fastening…you totally become Steampunk! The look creates the attitude, I say. I love the rich fabrics, the tailored dresses, and the boots. Because I’m a no-frills petite woman, I like the fact that clothing from this era doesn’t have to be all lace and ruffles. I’m just learning about the Steampunk world, and I’m looking forward to creating an outfit or two in the near future. Wow! I love the watch, and look at those dresses. Oooh, I want to win. Please? I love dressing up, and there’s something about Victorian fashion that makes you feel in control. I guess I like the rigidity of a good bodice. I’ve recently gotten into steampunk. It’s not necessarily daily fashion for me, but it’s something I’d like to incorporate slowly into my wardrobe. Any tips on making everyday clothing a little more Victorian? By the way, LOVE the pocket watch. It would go wonderfully with my Dragon*Con outfit (that’s where I got my start with steampunk)! I would have to say my favorite aspect of steam punk fashion is that it can be anything. From robotic arms and military gear to Mistress Mercy’s Victorian outfit with the video screen on the front and power back on her back to basic clothing with top hats, bowlers and other hats and goggles – it is as individual as the wearer.